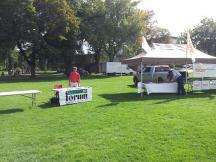 BC FORUM encourages members to take action on issues of importance - then let us know what you’ve done! Letters to the Editor, articles you have had published or any media you may have been involved with - send us a link or a copy of what you’ve done and we will list them here! December, 2013 -Canada Post and the Conservatives are taking an axe to long-treasured postal services – killing good jobs, eliminating home delivery, cutting rural post office hours and drastically increasing postage rates. 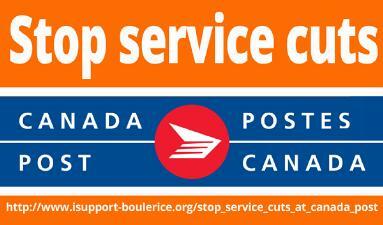 We need to take action to stop service cuts at Canada Post. November, 2013 - BC FORUM Executive members president Diane Wood and VP Bill Silvester at the BC FORUM booth at the BC Federation of Labour Conference in Vancouver, November 25-27, 2013. 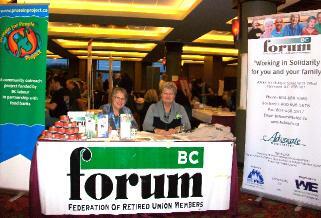 October, 2013 - BC FORUM affiliate members meeting in Vancouver. 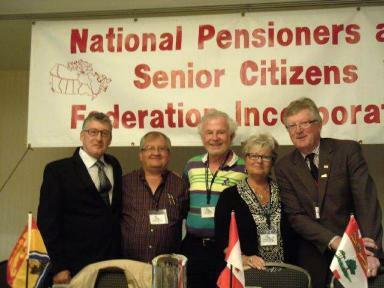 October, 2013 - BC FORUM President Diane Wood attended the National Pensioners and Senior Citizens Federation Convention that took place in Windsor, Ontario. 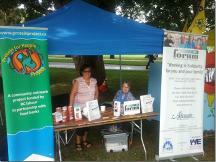 From left are Len Hope, President of the National Pensioners and Senior Citizens Federation (NPSCF); Pat Kerwin, Executive Member of the Congress of Union Retirees of Canada (CURC); Diane Wood; Past President of NPSCF. 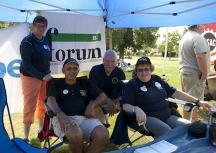 September, 2013 - BC FORUM members were there for Labour Day picnics across the province. From top above, Gord Savard, Fred Girling and Pamela Willingshofer, BC FORUM Directors, with Heather from COPE 378, at the Fraser Valley Labour Council Labour Day picnic in Abbotsford; Sandy Bauer, BC FORUM VDLC Labour Council Delegate with Miriam Olney, BC FORUM Secretary at Vancouver’s Labour Day picnic; and, Mogens Jorgenson, BC FORUM Regional Rep at Kamloops Labour Day. 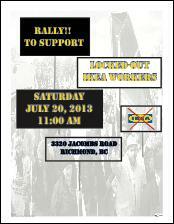 On May 13, 2013, IKEA Canada locked out the workers at their store in Richmond, members of Teamsters Local 213, in an attempt to force them to accept a two-tiered wage system and reductions in benefit eligibility. The workers have remained strong over the past two months and are determined to continue the fight against this wealthy employer’s attempts to ratchet down wages and benefits. In order to be successful they are looking for support from the rest of the labour movement. To help show our support at this critical stage, we are asking you to mobilize your union members to come out to a rally in support of these workers. 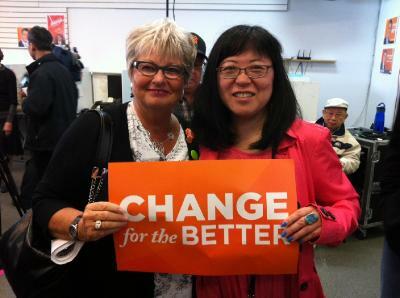 April, 2013 - BC FORUM president Diane Wood with BCGEU Vice President Lorene Oikawa at Adrian Dix election campaign office. 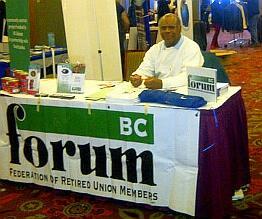 April, 2013 - BC FORUM had a booth at the 50th Convention of CUPE BC that took place in Victoria in April, 2013. 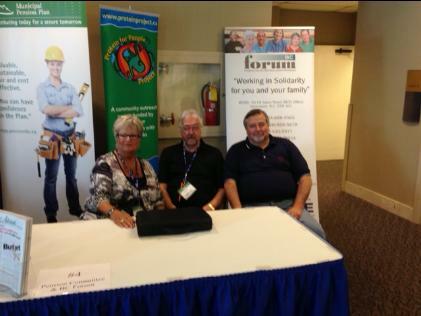 From left are BC FORUM President Diane Wood, Executive Board Member Gord Larkin and Dave Porteous from WE Benefits. March, 2013 - Members from across British Columbia attended at the BCGEU headquarters in Burnaby for the Train the Trainers course instructed by Bob Hadfield from Congress of Union Retirees of Canada (CURC). This course will now be offered to CLC Weekend Labour Schools and BC Federation of Labour Affiliates. 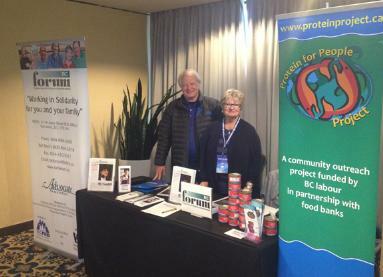 February, 2013 - BC FORUM Treasurer Dave Gill attended the first weekend Trade Show for the 2013 CLC Harrison Winter School taking place in Harrison Hot Springs, BC. Following weeks saw BC FORUM President Diane Woods and Secretary Miriam Olney along with the new BCFORUM banner stand at the Winter School.